Although Islam is the state religion and the constitution requires the state to safeguard ‘the heritage of Islam,’ it also calls for ‘absolute freedom’ of belief. Religious tolerance in Kuwait is significantly higher than in most of the region. In practice, religious minorities experience some discrimination as a result of governmental policies. Non-Muslims – and those who are not Sunni Muslims – find it difficult or impossible to obtain legal permission to establish new places of worship. Evangelization of Muslims is prohibited. The Christian population consists mostly of migrant workers from outside the country. There are only a few hundred indigenous Kuwaiti believers. Most of them are descendants of foreigners who have moved to Kuwait before the establishment of the state. Christians from other countries are free to gather informally for worship. Four denominations are registered and have compounds where they can gather, but these places are too small for the number of people who meet there. Converts often face persecution from their families. Converts also risk harassment, police monitoring of their activities, arbitrary arrest and detention, physical and verbal abuse, legal discrimination and property challenges in court. 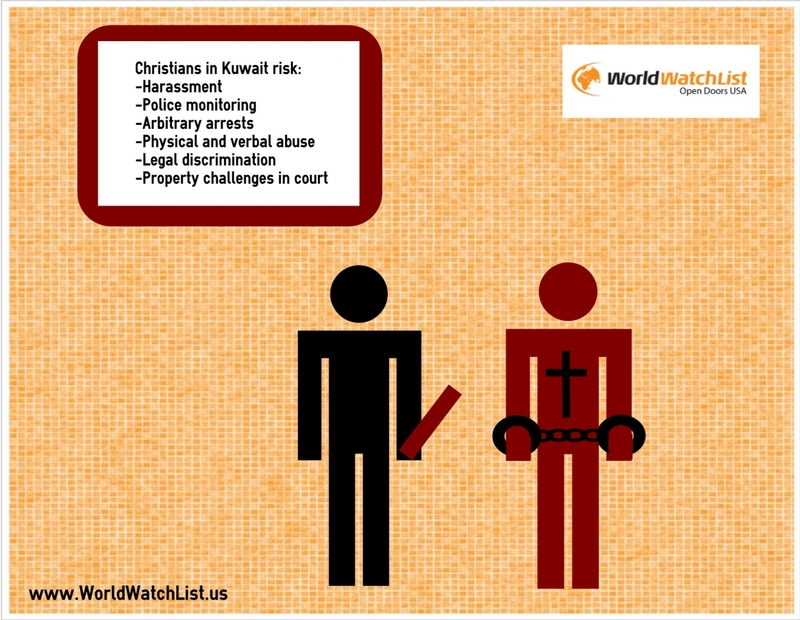 In May 2012, the Parliament of Kuwait voted for an amendment to the country’s blasphemy legislation to make insulting Allah and the Prophet Mohammed by Muslims punishable by death. Since then, the Emir has dissolved parliament, and vetoed the amendment, but his veto might be overruled in a later parliamentary vote.